When you choose a daycare center or other child care provider here in South Carolina, you have certain expectations about the health, safety, and supervision of your children. When that trust is violated, and it results in your child being harmed, you have the legal right to hold the negligent parties responsible for what they have done. 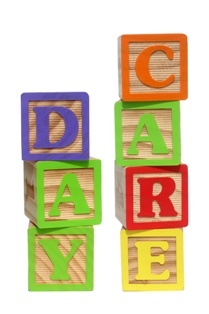 Here are some unfortunately all too common situations that can lead to injuries in daycares. If any of these scenarios sound familiar, the facility should be held accountable. Unsafe Premises. The daycare operator and staff must make sure that the environment for the children is safe and secure from anything that poses an unnecessary risk of injury. Sharp or dangerous materials should not be present, medications should be well-secured, and kitchen or cooking facilities should have restricted access to prevent burns. Dangerous Toys. Toys with small or loose parts that can be easily swallowed are a real danger, as are cribs or other play equipment that have been recalled, yet are still present at the daycare. Food Safety Issues. Food allergies are a frequent issue with young children, and cross-contamination or failure to obey allergy warnings can result in a dangerous or even deadly anaphylactic reaction in a child. Food that is spoiled or contaminated by poor hygiene in the kitchen can also lead to serious illness. Improper Staffing Ratios. Children are curious and energetic, making them vulnerable to injury without proper supervision. Sadly, when it comes to cutting costs, the staff is often the first to go in any business. When daycares operate with insufficient staff to look over the children, it can result in otherwise preventable harm. Failure to Screen Employees. Daycares in South Carolina have a duty to protect your son or daughter from individuals who lack sufficient training, or are not legally permitted to be around children. Background checks are critical, and if a childcare center negligently hires someone who should not be working with kids, the owner or manager may be held liable. A single bump, bruise, or small cut may not be a sign of negligence by itself, but unexplained injuries or more severe wounds should raise immediate caution flags, as should a repeated pattern of injury. Your child’s behavior can also be a clue that something is wrong, such as if he or she is suddenly reluctant or afraid to go to daycare. When you suspect that negligence or abuse is happening in a daycare, you have options. First, you should act to ensure your child’s safety and remove him or her from the dangerous environment. Local law enforcement can put you in contact with the right agencies, or you may contact the South Carolina Child Protective Services directly for help. You can also reach out to an attorney with experience handling daycare negligence and abuse cases. He or she should have the legal knowledge and resources to navigate any insurance claim, civil action, and possible bringing of criminal charges. If you believe that your child has been injured due to negligence or abuse in a daycare setting, the Law Office of Kenneth Berger is here to answer your questions and be of service. We believe strongly in protecting the rights of injured children and their families, and have experience in this very specific field. Reach out to us by telephone, use the contact form to send us an email, or click the live chat box on this page to arrange a free consultation with an attorney who will listen to your concerns and treat you like a member of their own family.